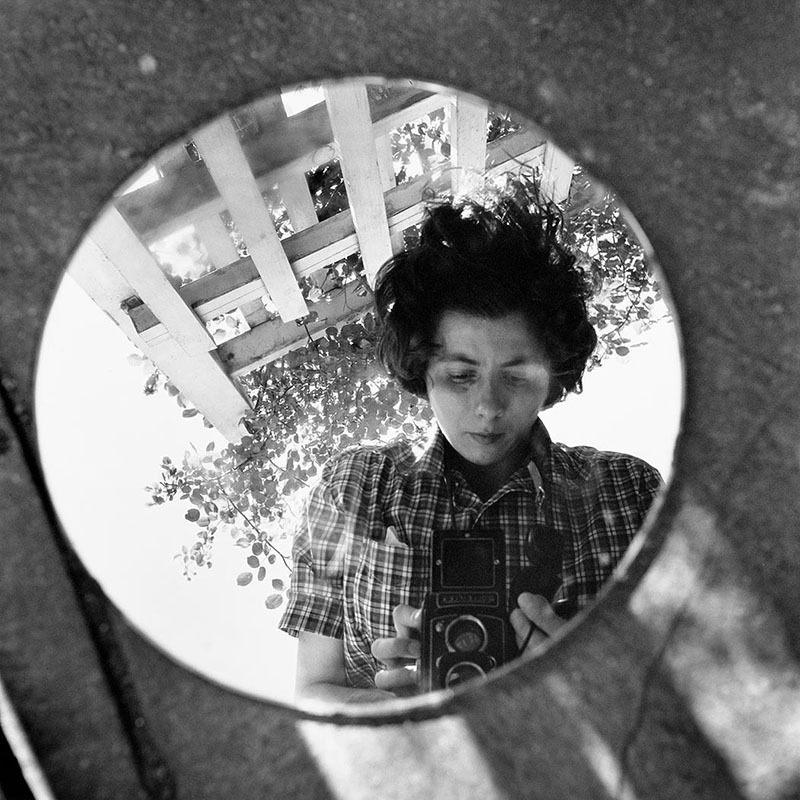 Vivian Maier: Self-portrait, undated. 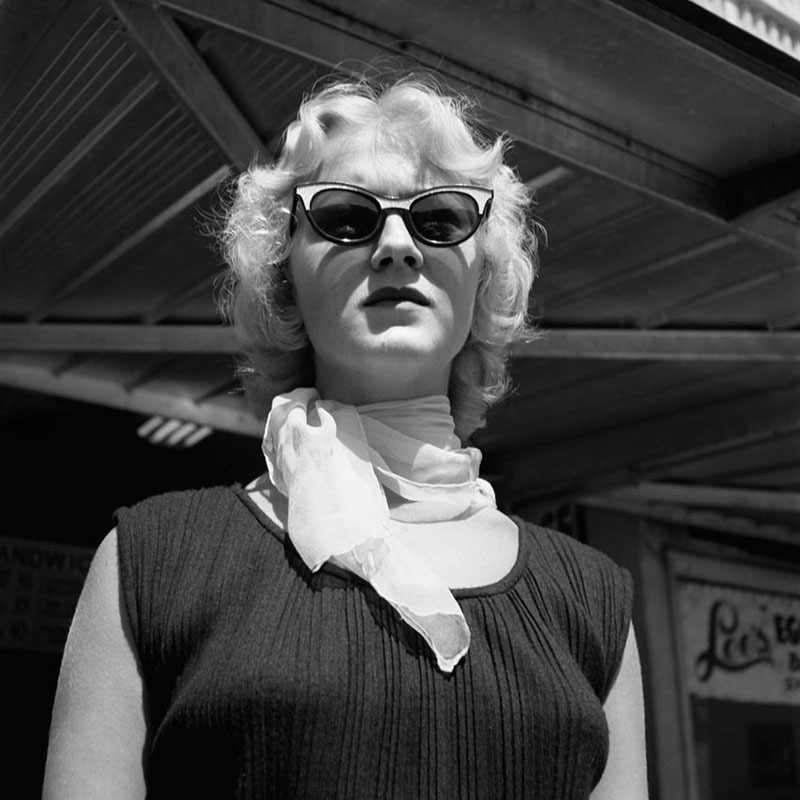 Images courtesy Howard Greenburg Gallery, New York and Maloof Collection Ltd.	Vivian Maier: Chicago, undated. 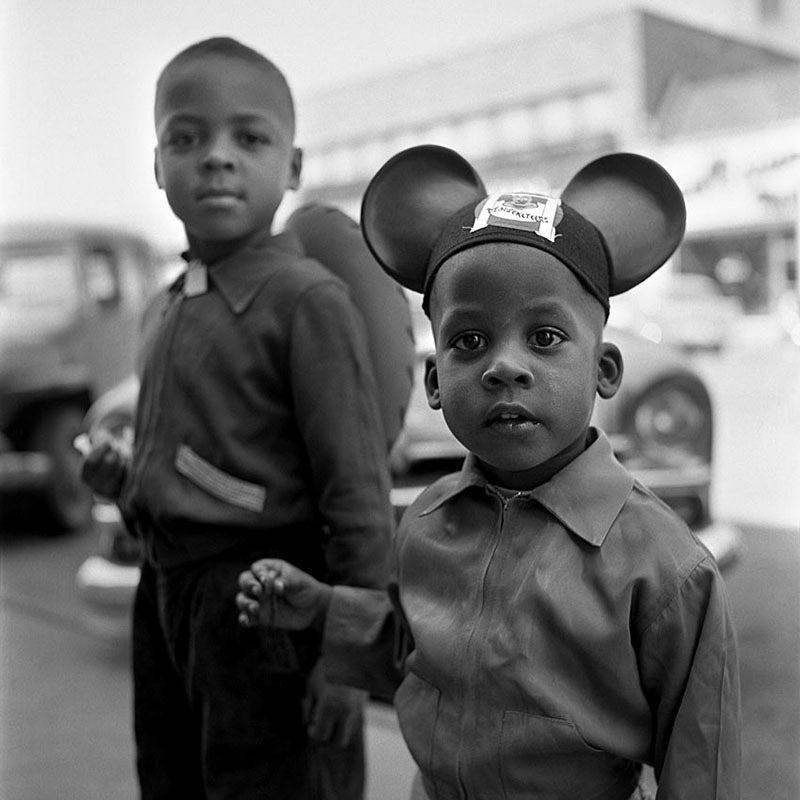 Vivian Maier: Chicago, undated. Vivian Maier: Chicago, 1957. 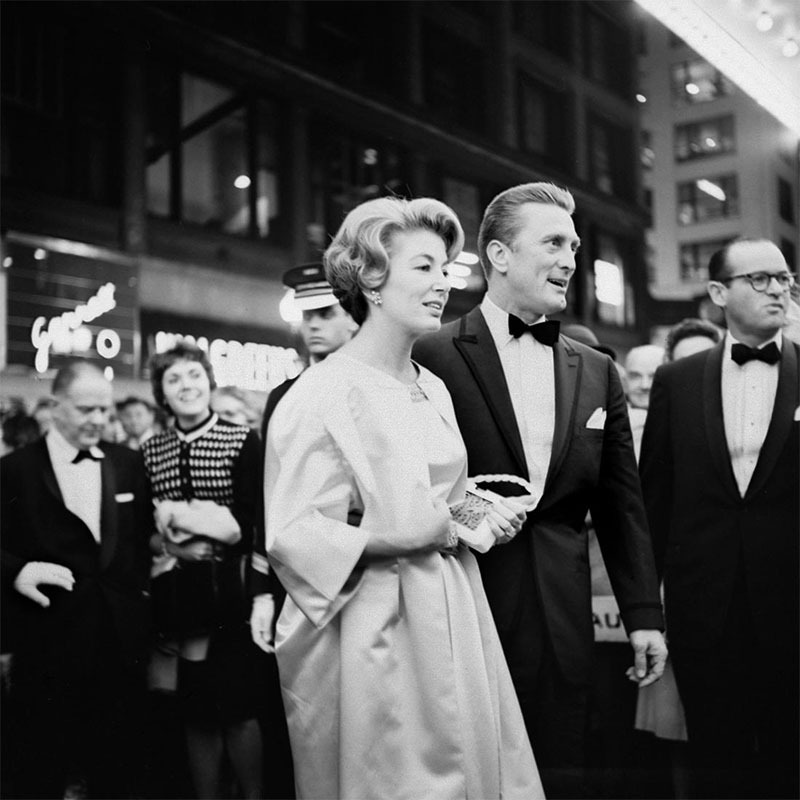 Vivian Maier: Kirk Douglas at the premier of Spartacus, Chicago, 1960. Some time in the late-2000s, John Maloof, who was working on a book about Chicago neighbourhoods, took a chance on a sale of storage boxes that once belonged to a deceased woman. Upon opening them at home, he discovered many to contain thousands of photo negatives that turned out to be a trove of street-photography masterpieces. Fascinated by these stark and vivid images of life from all over the world, mostly of human figures up close to the camera lens or looking directly into it, Maloof became obsessed with the story of their authorship. If you are impressed by someone who would comb through and organize thousands of photos taken by a stranger (as well as the many personal belongings and papers of his eventual subject), you’ll be even more amazed at the story he unearths. What he finds are a series of former employers and their children who reminisce about her odd personality, her imposing bearing, her ability to get away with intruding on so many people’s private moments (and recording them without seeming like she was stealing them), and the darker aspects of her rather severe manner, which became more unstable as the years progressed. Maier belongs in a Louise Fitzhugh novel, charismatic in her dedication to a unique perspective but possessed of enough hard edges that her conflicts with others make her interesting instead of off-putting. The process of her taking photos is fascinating, one finely etched portrait after another snapped and then stored away, many never to be developed during her lifetime. It is as though her desire to avoid society was equalled by an instinct to capture every moment and save it for later. The journey to get to know Maier as a person takes Maloof from his native Chicago to New York, and as far away as a tiny village in France where his enchanting subject has distant family ties. Everything about this masterful documentary works to zesty perfection. It’s a joyous exploration of a creative mind that does not get bogged down in sentimentality when examining the harder times in Maier’s life, instead complementing the startlingly impressive images – Maier’s pictures really are as good as many people say they are – with biographical information, and interpreting the few personal bits of information that are uncovered through the way she saw the world. Maloof unfairly downplays his own contribution to her discovery, making secondary his mammoth effort to itemize her vast stores of images to his adoration of this captivating personality. The interviews with those who knew her range from deeply touching to disturbing to wickedly funny. 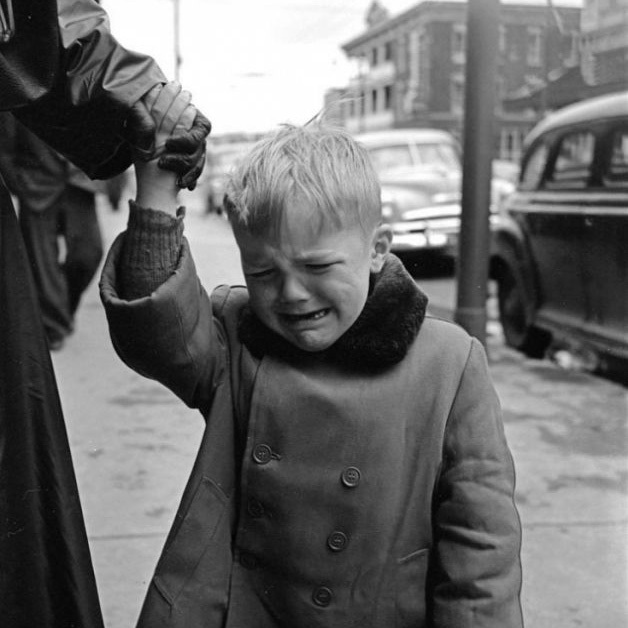 Absolutely unforgettable, Finding Vivian Maier is one of the most enjoyable explorations of a human life ever made. Images of children, one of Maier’s favourite subjects, are on view at Stephen Bulger Gallery in Toronto until September 13, 2014.